Telephone entry security panel that can be programmed to call up to 2,000 different tenants/residents using their existing telephone numbers. 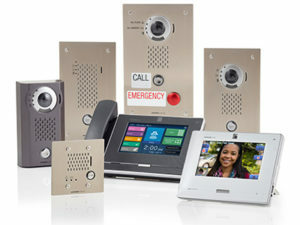 Up to five entry panels can be installed per TL-2000 system. Tenants can screen visitor requests and unlock the entry where the call is originating by entering a code on their phone. 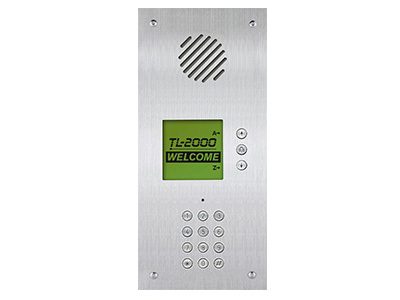 The TL-2000 works with any phone number, be it a landline or cellular number and also supports up to 2,000 unique access codes to activate door release. Aiphone is proud to be a rare, two-time winner of the prestigious Deming Prize for quality management and manufacturing processes. Our ISO Certified process and rigorous standards result in some of the most reliable products in the industry. 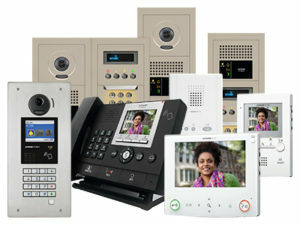 Aiphone products routinely last for years, only being replaced when the application outgrows the system capacity.